Action, chickenf*ckers! Those lovable, raunchy state troopers are back on set today as they start filming on Super Troopers 2, the sequel to the 2001 cult hit film. The news was posted on Broken Lizard’s Facebook page. 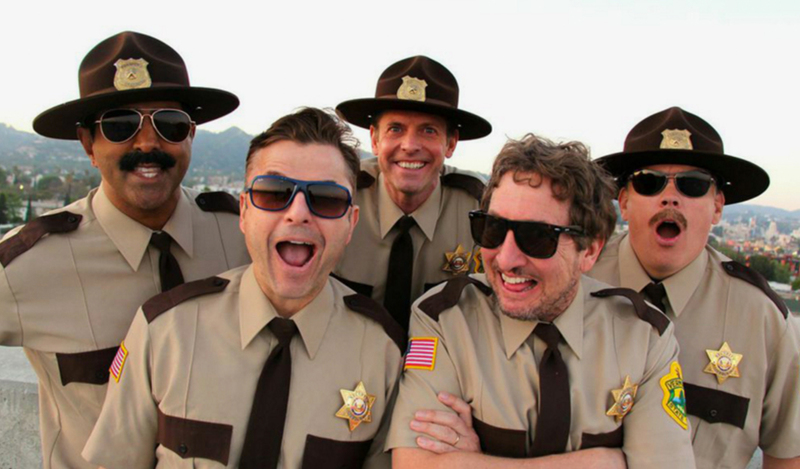 Super Troopers 2 is shooting outside of Boston. The Broken Lizard team of Jay Chandrasekhar, Kevin Heffernan, Steve Lemme, Paul Soter and Erik Stolhanske are back for seconds as writers and stars. Chandrasekhar also is back in the director’s chair. The original comedy from 15 years ago was about five zany Vermont state troopers who take delight in pranking people they pull over. Super Troopers premiered at the 2001 Sundance Film Festival and was acquired by Fox Searchlight for $2.5M. The pic grossed $18.5M at the domestic box office after its February 2002 release.